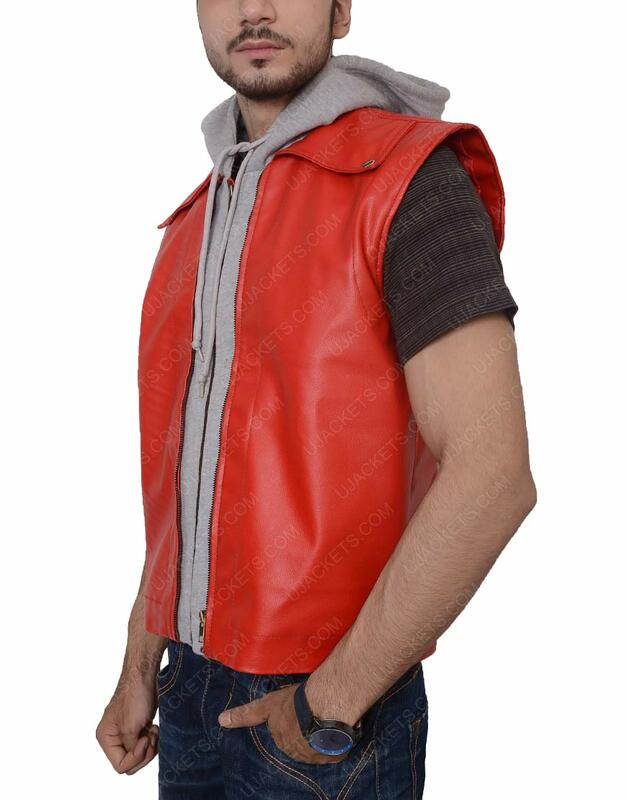 This extravagant attire is inspired from one of the greatest action video games ever The King of Fighters, featuring the most daring and dashing looking Terry Bogard. 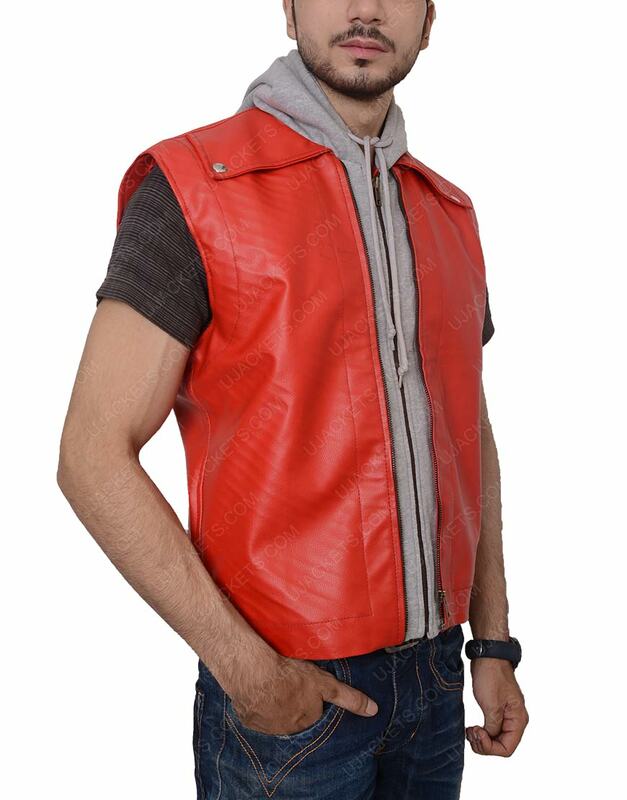 This Terry Bogard Leather Vest is a creative craftsmanship done with exclusive same styling that gives you exact bold anticipation like the in-game furious fighter. 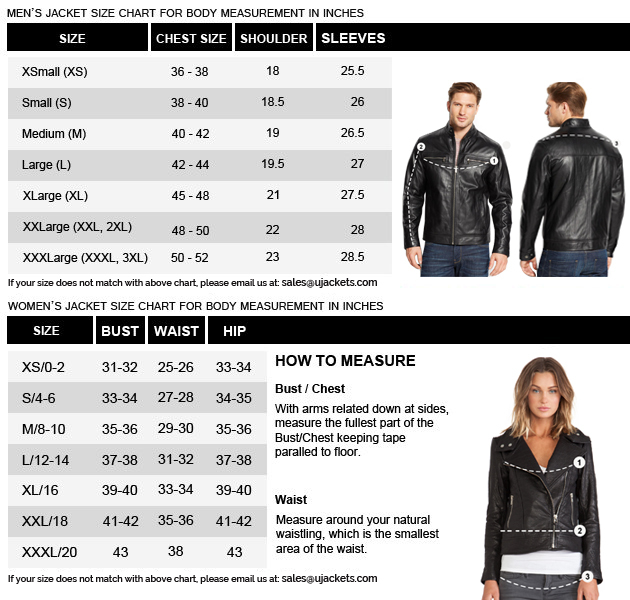 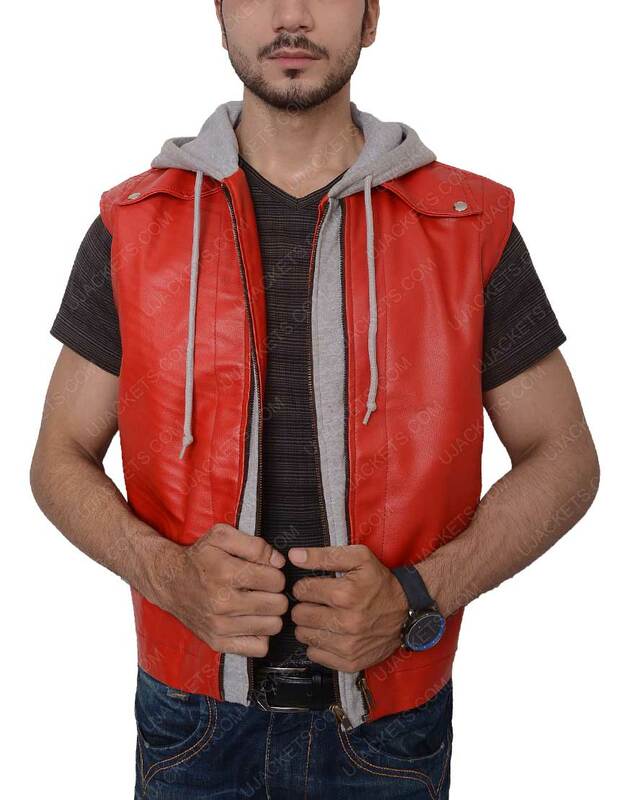 It is artistically confined with the pure faux leather material that gives the outfit a lusty enthralling outlooks, while the inner side is unified with the fine and supple viscose lining. 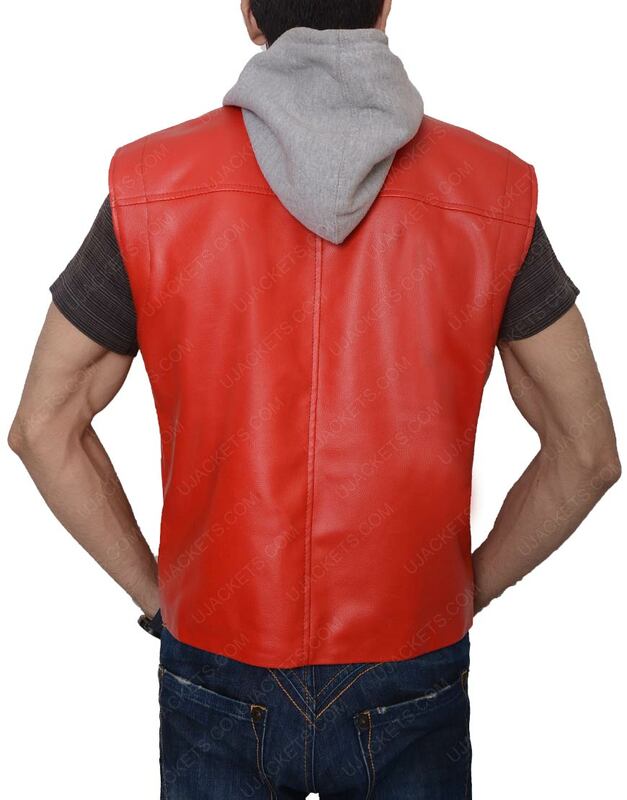 This Terry Bogard Vest has a very intrepid looking shirt collar integrated in it, and has creative shoulder epaulets also engrossed on both sides enhancing the stunning looks of the garb. 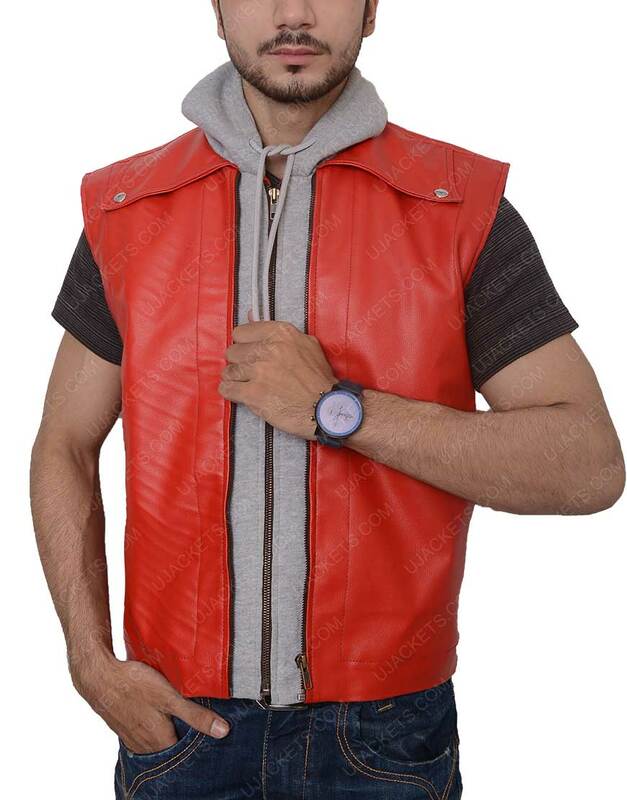 It is presented in sharp red color with neat stitching formation.